Volkswagen Golf 7 SportWagen | H&R Special Springs, LP. H&R brings you the all-new Volkswagen Golf SportWagen by H&R. Bigger, more spacious, and more fuel-efficient than its predecessor, the Golf SportWagen is both versatile and fun to drive. Tuned wagons are always an eye catcher, and the all-new Golf SportWagen is no exception. 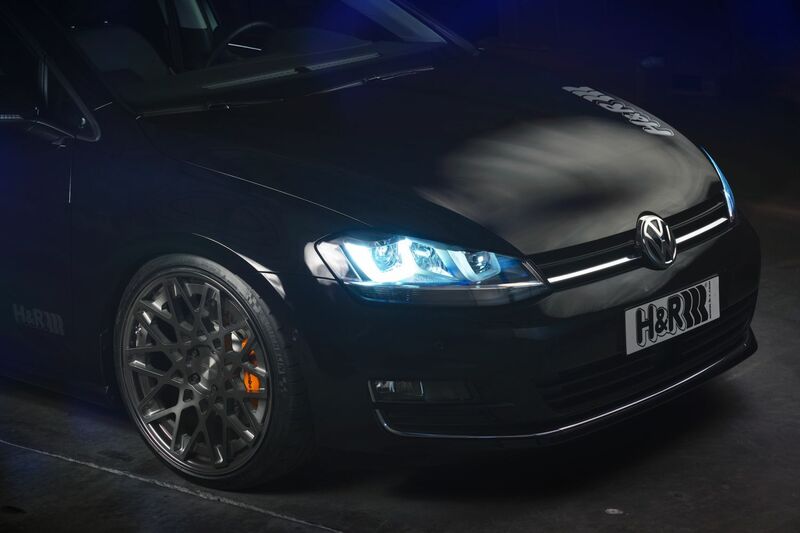 • H&R installed their Street Performance Tuner Coil Over suspension and 25mm rear Sway Bar. • Race Technologies, Brembo Partner HP GT system brake upgrade and new design wheels from Rotiform with Michelin tires. 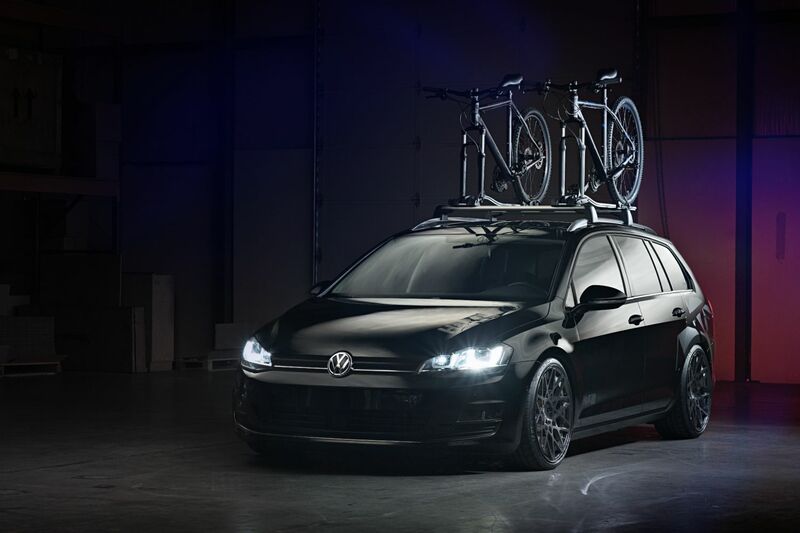 • Roof carrier system, attachments, & Mountain bikes by Volkswagen Genuine Accessories. The special H&R Street Performance Coil Over provides precise suspension performance for the MQB chassis. The H&R Coil Overs are set at a lowering height of 2.3” front and 2.0” rear for the perfect European stance! The addition of the H&R 25mm Sport Sway rear bar adds awesome turn-in. 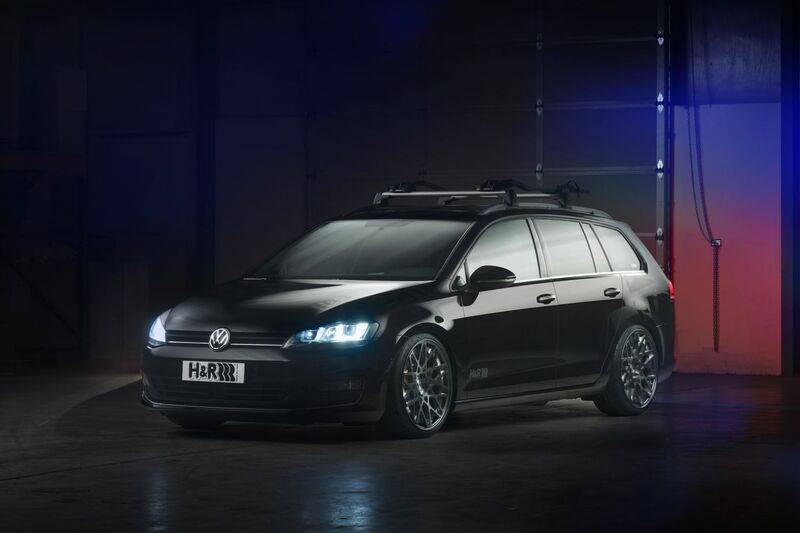 H&R suspension components enhance the look of the Golf SportWagen and improve performance—equaling more smiles per mile! Popular with Volkswagen enthusiasts around the world, Rotiform wheels were a perfect addition to this year’s SEMA show SportWagen project. The custom 19” BLQ style wheels are forged 3-piece wheels featuring a concave design. These wheels feature a custom brush finish with a double matte tinted clear. 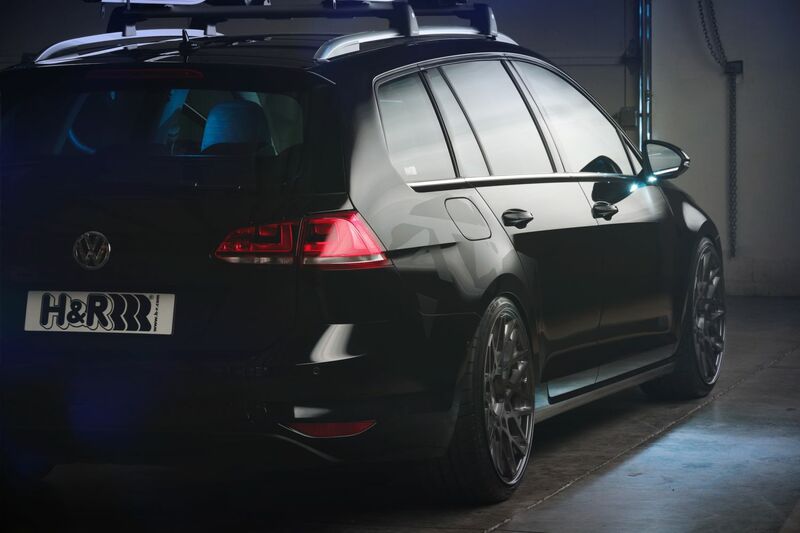 High-performance Michelin Pilot Super Sport tires, size 225/35ZR19, complete the performance handling package of this all-new Golf SportWagen. To take advantage of the performance of the H&R Coil Over system, a Brembo High Performance GT system was integrated into the build. The Brembo GT system’s lightweight 328mm (12.9”) 2-piece disc minimizes the amount of reciprocating mass that the suspension endures, which results in improved vehicle dynamics. Also, special attention to detail was given to the aluminum bell, which received a special ceramic silver finish. The complete system, with the more rigid 4-piston caliper and Goodridge stainless steel brake lines, provides the notoriously nuanced feel that Brembo brake systems are known for. 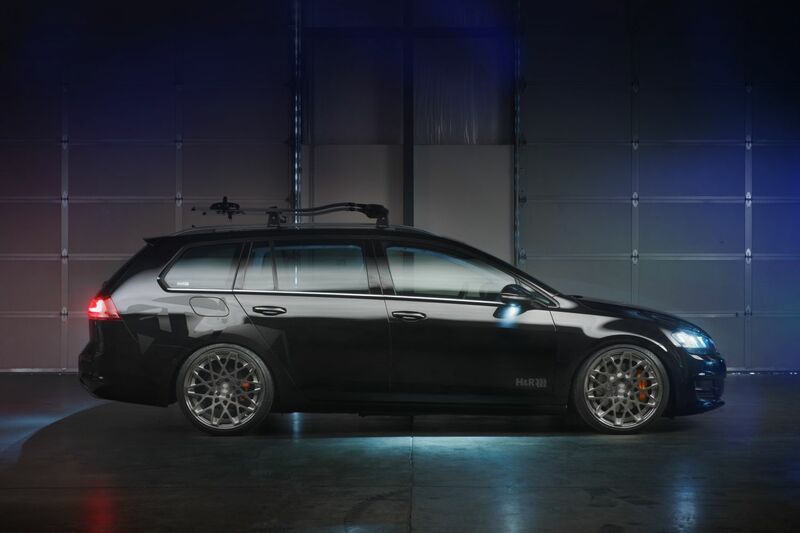 Rounding out the high-performance braking, handling, wheel and tire package is a complete Volkswagen Genuine Accessories bike carriers and Mountain Bikes.